Visit the EPA Web site. DeLand receives about 31 inches of precipitation annually. This water either soaks into the ground (infiltration) or flows overland to ditches, streams or ponds (storm water runoff). Most of the run off in DeLand flows to Little Haw Creek, although some flows to Lake Winnemissett or to the streams that lead to the St Johns River. Development changes the natural flows. Constructing new buildings and parking lots in areas that used to be fields or woods typically reduces infiltration and increases storm water runoff, which leads to higher flows in area streams. To reduce this effect, the City of DeLand requires that detention/retention facilities be constructed with all new development projects. These facilities temporarily store storm water runoff and release it through a designed outlet structure. In municipal areas such as DeLand, a separate storm sewer system is typically constructed when new streets, subdivisions and commercial sites are developed. The storm sewer system routes storm runoff quickly off streets and away from buildings or other structures. Storm sewer pipes eventually discharge to a swale, stream, river or other surface water body. Because the volume of water passing through a storm sewer system is so great, it is generally not feasible to route the water to a treatment plant — as is done with wastewater in the sanitary sewer system. Therefore, storm runoff enters our streams and rivers without any treatment. If the runoff contacts any pollution as it flows overland or through the storm sewer system, those pollutants eventually end up in streams and rivers. 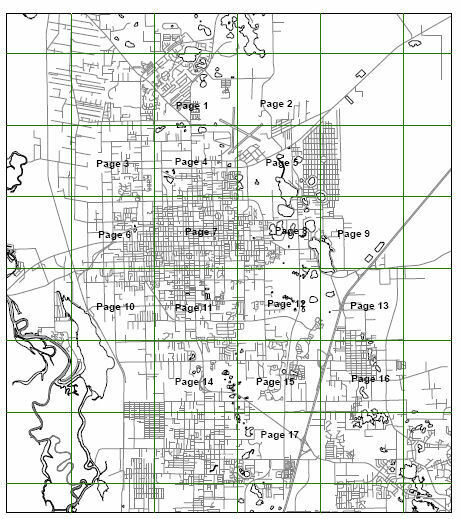 Infiltration is particularly important in DeLand. To help this process, the storm sewer system in this area includes infiltration inlets, also known as "dry-wells". When storm water enters a dry-well, it infiltrates into the surrounding ground and there is no discharge to a stream or other surface water body. Even though storm runoff isn't directly discharged to surface waters, pollution of the groundwater below is still a concern because DeLand and other communities get their drinking water from underground aquifers. Approximately half of the pollution in streams, rivers and lakes comes from industrial facilities or wastewater treatment plants. The other half is the result of everyday activities: litter, pet waste, detergents, pesticides, fertilizers, paints, used motor oil and other household hazardous wastes. There are serious problems associated with polluted storm water. The pesticides, bacteria and chemicals that may be present in polluted storm water can pose a health risk to people. Aquatic plants and animals living in streams and rivers may become sick or die from contact with polluted storm water. Clogged catch basins can be unsightly and can cause flooding problems. Water quality refers both to the chemical makeup of a water body and the overall health of its biological community. Both chemical and non-chemical factors such as sediment accumulation and habitat changes are monitored to determine the overall health of surface waters. As required by the Clean Water Act, the State of Florida has adopted water quality standards to protect, maintain and improve the quality of its surface waters. These standards represent a level of water quality that will support the goal of "swim able/fishable" waters. For more information on Florida state water quality standards, visit the EPA Web site.